Champion Auctioneer Instructors - Global College of Auctioneering ltd. Please note: The size of the class determines the number of champion auctioneer instructors at the course. Second generation auctioneer along with both his brothers, Barry and Joe Burnett. Owned and operated his own livestock and furniture auctions. 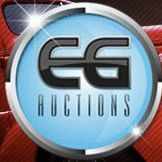 Worked across North America selling all types of auctions. Sells weekly cattle auctions and farm/equipment auctions. Loving husband to wife Amy and proud father of their son J.W. 2008 LMAC "Canadian Rookie of the Year"
Co-Owner of Thorsby Stockyard Inc.
Co-Owner of Thorsby stockyards Inc.
Sells weekly commercial cattle auctions.